Duckweed is an extremely easy floating plant to keep! It is readily adaptable, hardy and fast-growing. Because duckweed is such a fast-growing plant it often is considered a pest because it can completely take over an aquarium in as little as a week if given good care. It has no specific care requirements, and just needs basic care such as some light and proper nutrients present. Duckweed has oval leaves that are light green in color and about 0.12 inches or 3 millimeters long. Duckweed is often chosen as a good ornamental plant for the surface of an aquarium, especially if kept with other floating plants. 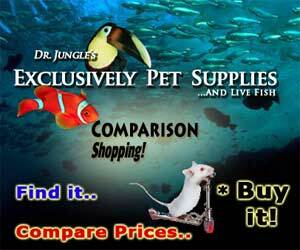 Thinning it regularly is recommended so that it does not completely take over the aquarium. Giant Vallisneria do well in a mixture of fine sand with a medium light level. Duckweed can be found worldwide. 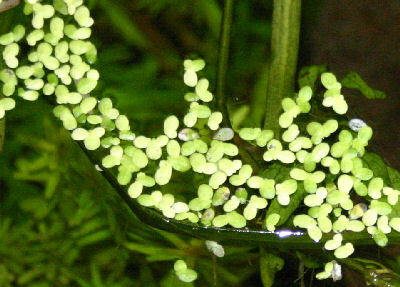 Duckweed propagates by simple division of existing plants. I have this in two of my aquariums. It creates a canopy of small hanging roots, which I find beautiful. It’s also good for filling in the space between other larger floating plants like frogbit or water lettuce. However, true to it’s name, it grows like weeds on crack, only made worse by the fact that it is almost impossible to kill in decent conditions. I cull it every week or two to keep it from choking out all my plants. I definitely recommend making a floating ring out of airline tubing to keep a spot duckweed-free for feeding. We have duck weed in one of our tanks, and it grows like crazy. I think its because it is right under the lights, but we have to thin it often so the plants below will get light. lots of people think it makes for untidy looking aqaariums, but i love the charm. If it is happy, it will spread like mad, but is easily scooped out if it gets out of control. It will also shade out plants below it, so plant high light demand plants in areas where surface is disturbed by a filter, which will also push away the duckweed. The fish will appreciate the shade, but duckweed tends to gather in the stillest water of the tank surface, which is also where many people choose to feed their fish. also, unfortunatley, it gets fried in high light situations. my final advice would be to buy some, and you will find out quickly if this is the plant for you. buy some? just get a plant and you will get some duck weed excitedly put with it! that's how i got my duck weed! fighting fish love em!